Julie Kumble is a researcher, writer, and director in women's leadership and was the founding director of the Leadership Institute for Political and Public Impact at the Women's Fund of Western Massachusetts. She has been a US State Department Fellow, recipient of the International Women's Day award, grantee of the Foundation for Motivated Women, and US Peace Corps volunteer. Dr. Donald Smith served as the ninth dean of Cornell University College of Veterinary Medicine. An avid veterinary historian, Smith's collection of first-person interviews with veterinarians of the 1930s and 1940s is a national veterinary treasure, and his popular blog at www.veritasdvmblog.com attracts readers from around the world. 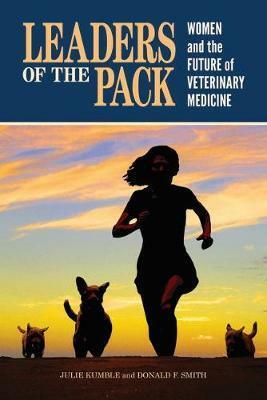 His book on the fiftieth anniversary of the Association of American Veterinary Medical Colleges, Pathways to Progress, was released in 2016 to wide acclaim. Dr. Smith is a diplomate of the American College of Veterinary Surgeons and a member of the National Academy of Practices. Kumble and Smith are founding directors of the Women's Veterinary Leadership Development Initiative.